Cowley College has teamed with area Fire Departments to offer a Fire Science certificate program beginning in June. The program will help meet the employment needs of local fire departments and consists of Hazardous Materials Operations, Firefighter I, Firefighter II, and Firefighter Safety and Survival classes, in addition to EMT certification. 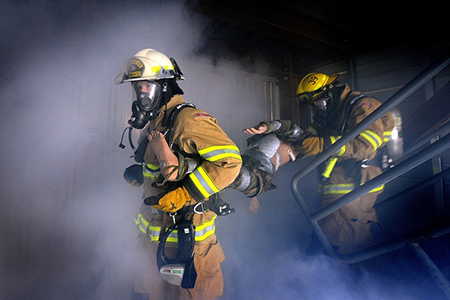 The Arkansas City, Winfield, and Wellington Fire Departments will supply Cowley College with the equipment needed for the program, such as turnout gear, forcible entry props and apparatus. Fire Chiefs Bobby Wolfe (Ark City), Alan Stoll (Winfield), and Tim Hay (Wellington) served on the steering committee and helped develop the curriculum for the program. Captain Chad Mayberry (Winfield) and Chief Gary Bowker (Ark City and Winfield) also served on the steering committee and are the program faculty. For more information or to enroll for the program please contact 620-441-6335.